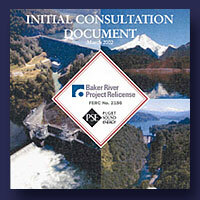 The Baker River Project Relicensing ICD was published in a CD ROM format for submission to the FERC. eureka software took the existing electronic document and prepared it for publishing. This included the bookmarking and QC of the PDF document as well as development of a user interface and burning of a master CD for reproduction.